Do you prefer your eyes accentuated? However, you would like to spare the day-to-day adjustment with eye pencil, applying it again and again? Would you like to say farewell to those blurred lines at the end of the day? 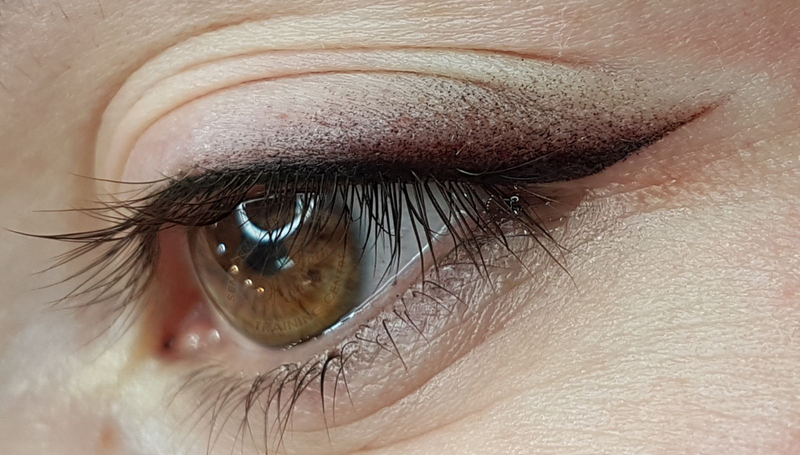 Is your eyelid loose and smears the neatly drawn ink eyeliner is a blurred blob after 5 minutes? Do you have frequently watering eyes? 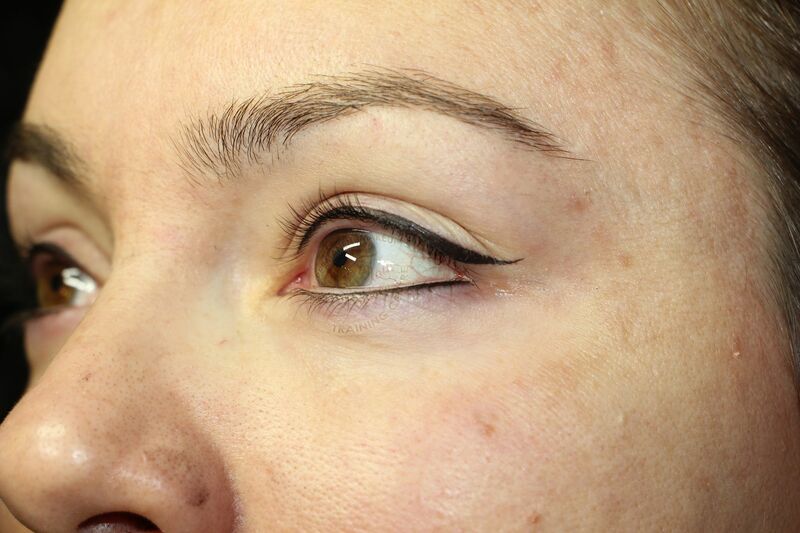 Choose longevity; get to know the real solution, the most precise permanent eyeliner! If you opt for this makeup, we will create such a precise and well-drawn line on your eyelid that you cannot draw any other way. The skin in-between the eyelashes is also pigmented, therefore the eyelashes appear fuller, the eye is more expressive. 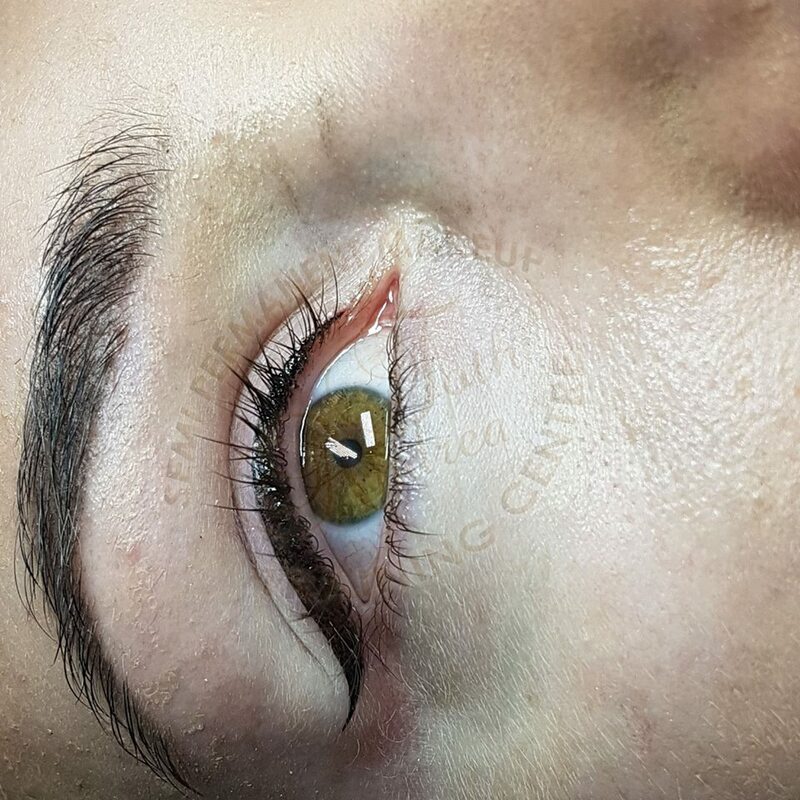 Our main goal in creating the curve of the eyelid that it should be in harmony with your character and emphasize the shape of your eyes in a more attractive way. After much research I decided Andrea Toth was the most reputable professional for semi-permanent makeup. How right I was! I firstly made an appointment for my eye brows, the result was astounding!! They look completely natural and the colour match was perfect. Today I Had my eye liner applied, as promised it was not painful, the feeling similar to applying with a pencil. They look fantastic! I'm so happy!!!! Andrea is an excellent ambassador to her trade that others can only aspire to! Andrea is one of a kind. Charismatic and talented, the service she offers and the way she delivers it are second to none. From the beginning, she put me at ease and I am incredibly happy with the Semi-Permanent Eye Liner that she gave me. From beginning to end, I was delighted with the results, and by how little discomfort there was. I would thoroughly recommend having this done, whatever your age. I have been following Andrea on Facebook book for a while after my friend recommend her work, last week with great excitement i had the pleasure of visiting Andrea at her training centre, my reaction WOW, I received a HUGE warm welcome, which immediately made me feel comfortable and relaxed, the reception area was incredible, sparkly, clean and very lush, also refreshments of every kind you could imagine was there. Whilst having my treatment, Andrea is informative, patient, thorough and very professional in her work. 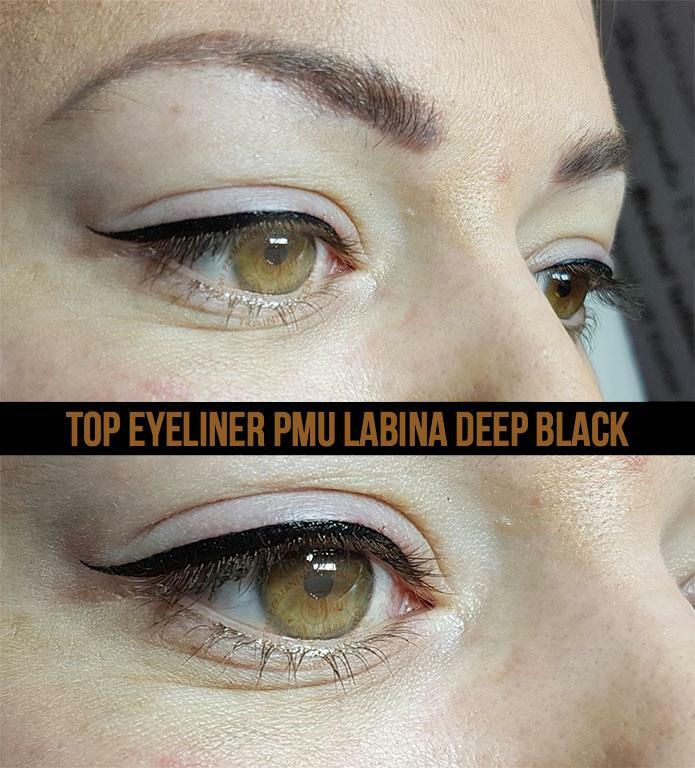 I absolutely love my liner, Andrea has given me a natural enhanced look which enables me to feel more confident. I cannot thank her enough from the bottom of my heart. Have you also considered it, but you are afraid of pain? ...but now, pain belongs to the past! We use special anaesthetics for permanent eyeliner treatment with which the procedure will be pain-free, the feeling is similar to the one when you apply a blunt pencil! Not only does the feeling of pain resemble to the earlier known feeling, but the swollenness is radically less! Do you have fluttering eyelids and frequently watering eyes? Believe us, this is not a problem for us! The fingers of the hand are stronger than the ocular muscles, thus your eyelid can be held tight so that it wouldn’t flutter, and the occasional tear drop does not run on the tattooable surface. Even if you have a closed, covered, fluttery eyelid, or a watering eye, these never pose as obstacles. 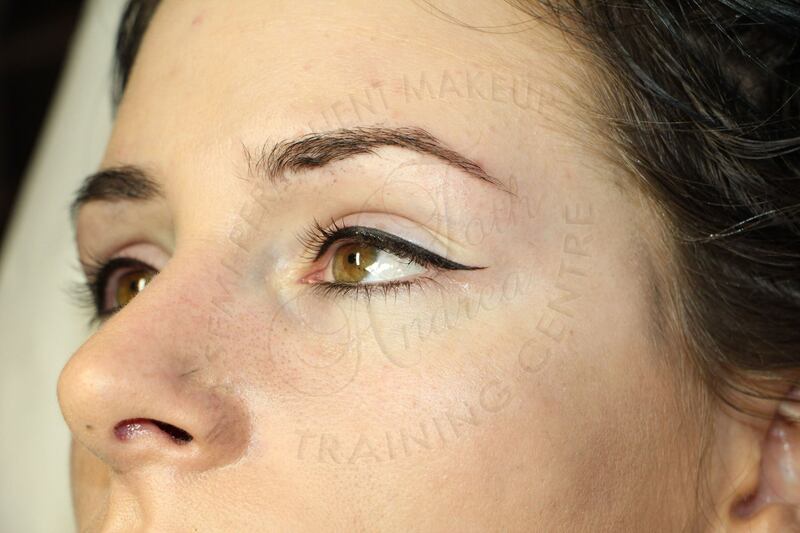 We always carry out cosmetic tattooing on a closed eyelid! 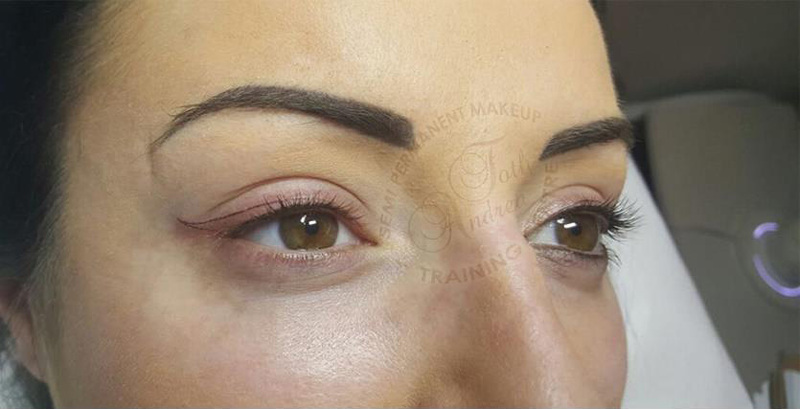 This is the only permanent makeup type that we advise for all the ladies! It is possible and worthwhile to accentuate every eye, the difference lies in the types of permanent eyeliners. 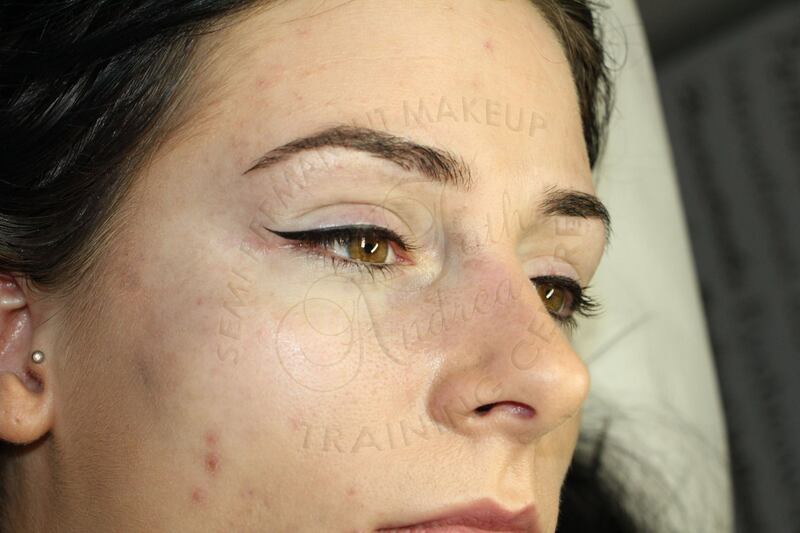 disinfecting of the skin, anaesthetization with gel and liquid, discussion of the form, design of the form, picking colour, pre-drawing of the eyelid-line with a special pigment, lasting 30-40 minutes, creating permanent makeup on a closed eyelid with Labina permanent makeup device, continuous anaesthetics, disinfection of the skin, post-treatment, cold compress. After 4 weeks correction on 1 or, if necessary, on 2 occasions, home post-treatment cream is a gift! 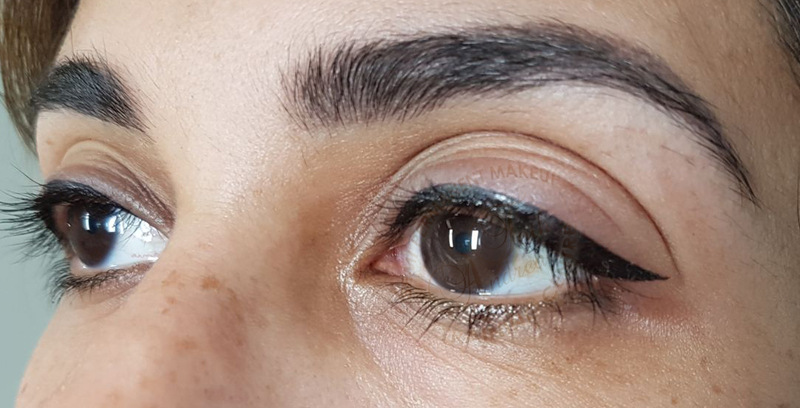 This is the most aloof-looking upper permanent eyeliner, where the distance between the eyelashes is connected, thereby making the eyes more expressive. It is highly recommended for young women or those who prefer natural style and makeup. Just a slight alteration and you’ll become more confident immediately! We recommend it with brown or black colour. 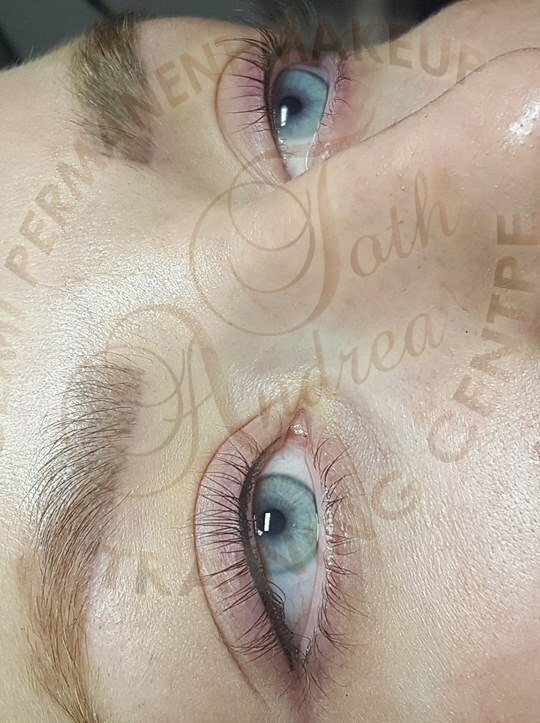 Not only the root of the eyelashes is pigmented, but I also create an eyelid line that harmonizes with the shape of the eye, which may be prominent, precise and have ink-effect but also it is optional in a hatched form as well. The most popular type, we recommend it with black, grey or brown colour. This technique provides an effect that looks like as if the pre-drawn lines with pencil would be hatched finely. There is no sharp contour line; it may be created with colours that blend nicely together. The eye colour maybe accented excellently with the harmonic colour selection. 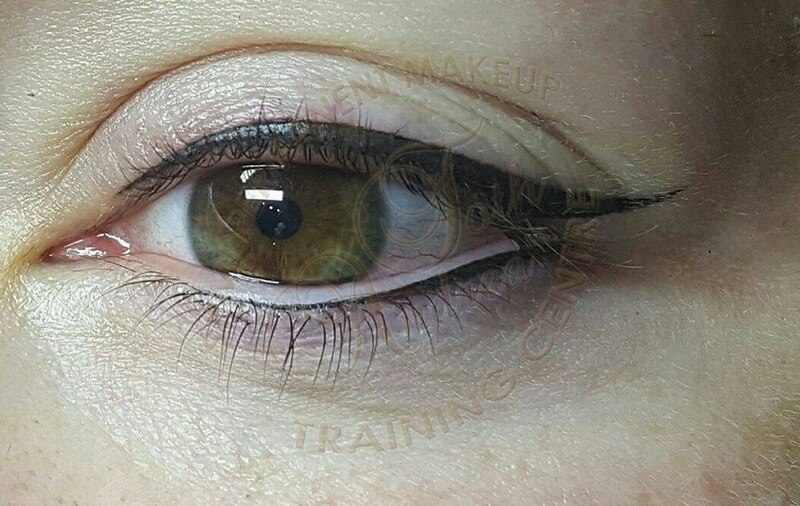 It may be created with colours that match the colour of the eyes (green, blue, purple, white, brown), supplementary upper or lower eyeliner makeup, which may be created with a line effect or with hatching. It is exquisitely unique, spectacular, but in no way ostentatious. 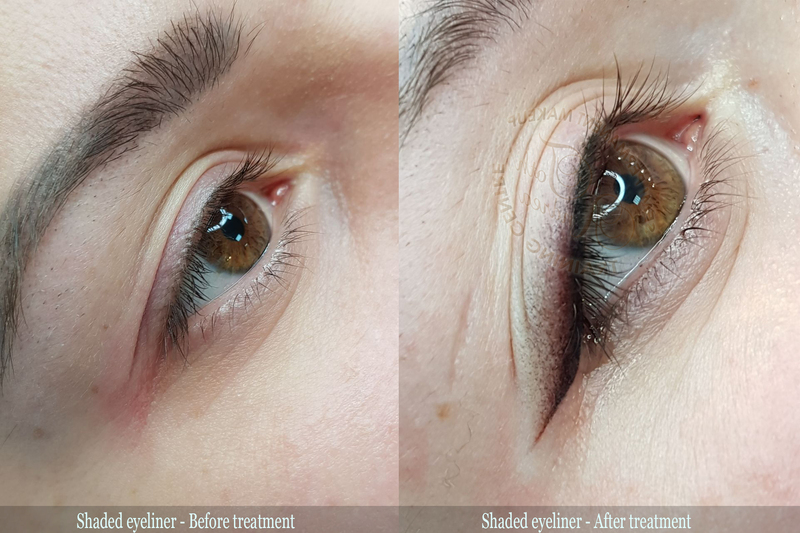 If you like to accentuate the colour of your eye, but refined and elegant overall impression is important as well, then this is just the right option for you! It may be chosen in a really refined version, however, you may ask it in a thicker or finely hatched version as well. It may also be combined with colours. It pertains to 1 treatment and the renewal of the existing form. 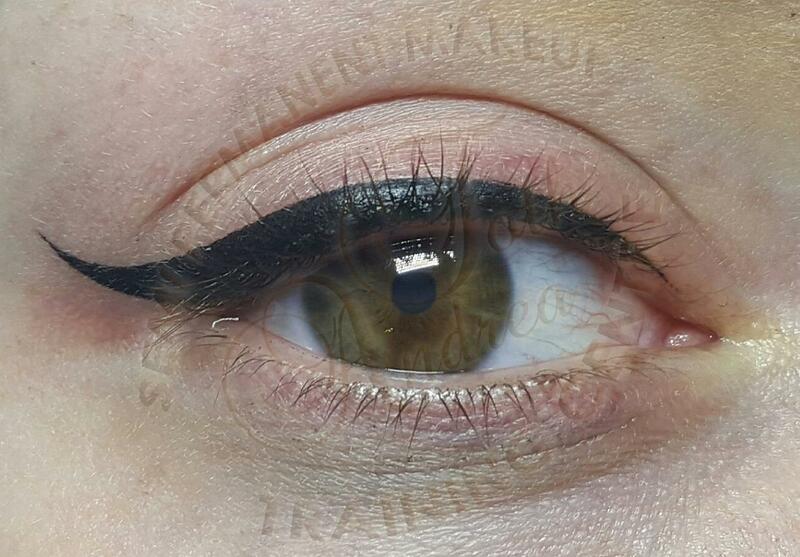 We renew permanent eyeliner makeup at 45% discount price. 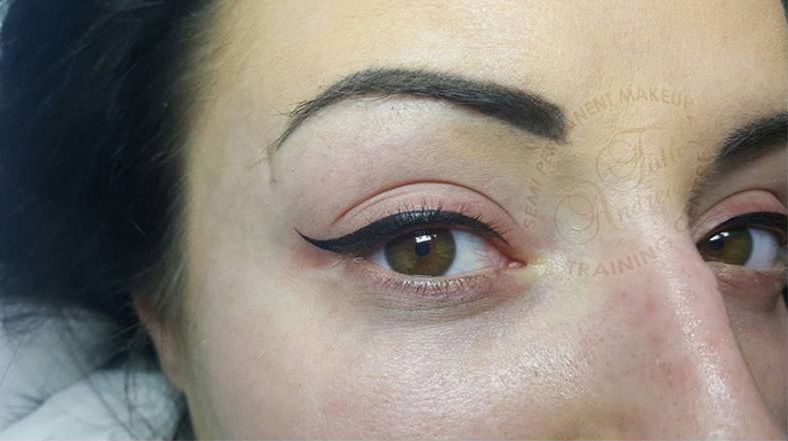 In case of permanent makeup created at another beauty parlour, we offer 80% discount price. Andrea is a wonderfully talented lady. Her passion and creativity just shines through! I've had my eyebrows and top eye-liner done now and I'm very happy with the results! All the girls are so lovely there too, it's a joy to just go and see them - never mind the fantastic work they do! Can't wait for my top up appointment tomorrow. From start to finish you simply couldn't ask for a more professional atmosphere with a personalised touch. Absolutely love my eye liner, Andrea is a perfectionist in her work, I have received endless compliments today. One very happy lady, thank you. I had my eyeliner done on Monday and I couldn't be any more in love with it if I tried! From the minute I walked into the salon I was welcomed by Andrea, she's a lovely professional woman with a warm caring nature. The salon is extremely clean, tidy, clinical, professional and anything else you would expect a top-class salon to be! The moment I entered the salon there was no stone left unturned, Andrea spent time talking me through the process making sure I was comfortable, what I wanted to achieve, what would best suit me, colour, thickness etc. The first stage when drawing on the eyeliner was done to perfection, I loved it straight away, so we then carried on with the procedure. I was completely comfortable the whole time, I couldn't believe that I was even worried about pain because there wasn't any what so ever (and I'm the biggest wuss ever) I can't wait to come back and get my lips done next! If anyone is even slightly considering this, then just go for it because you will not be disappointed. I have had no problems with my eyeliner since having it done, everyone can't believe how precise and amazing it is. Thank you so much. What is the process of creation? We create several forms during design and pre-drawing, you may check these in the mirror, you can thoroughly see for yourself from all sides, which one is the most advantageous, and naturally, we will tell you our professional recommendations. 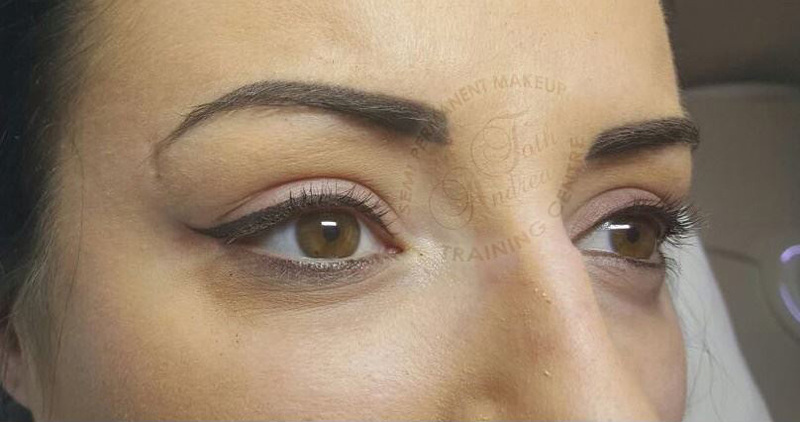 We do not erase the line that was symmetrically drawn on both eyes, we create permanent makeup on the basis of this. After the cosmetic tattooing treatment a slight swollenness will occur – similar to the effects of crying. We put a cool-pack on your eye and after some minutes you may continue with your customary lifestyle and errands. Your eyes will not be bloodshot. 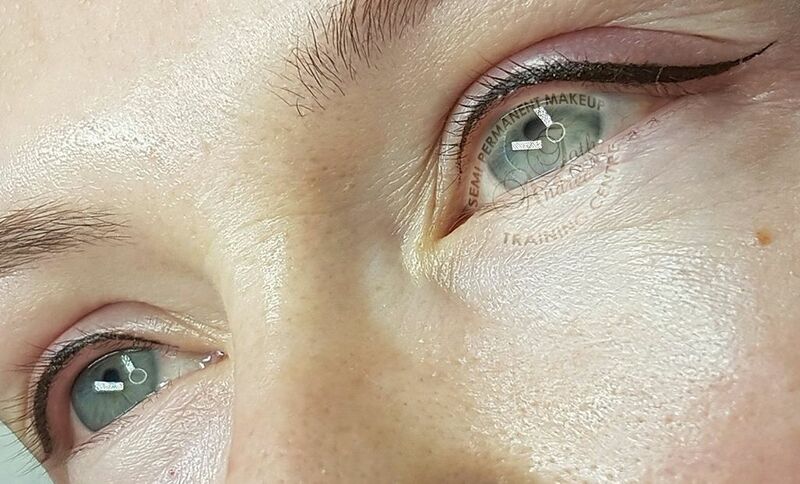 Your eyes are absolutely safe, we carry out cosmetic tattooing on closed eyes. The thin scab that forms on the tattooed surface, which will depart on the 5th day, you may not even notice it.